All India Football Federation (AIFF) named men's football team captain Sunil Chhetri the 'AIFF Player of the Year' during an executive committee meeting. The 33-year-old played his first match for India in the under-20 team in 2004 and went on to become the most capped player and all-time top goal scorer for the national team. 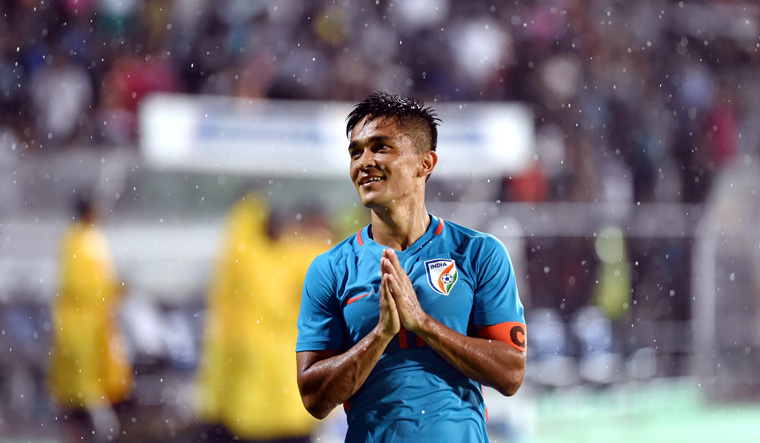 Chhetri helped India win the Nehru Cup thrice—2007, 2009 and 2012. He also led the team to victory in the SAFF Championship in 2011. Devi was a part of the Indian team that won the SAFF Championships in 2010, 2012 and 2014. She was also awarded the 'Player of the Match' title in the final of the SAFF tournament, 2012. While young talent Anirudh Thapa was given the title of 2017 AIFF Emerging Player of the Year in men's category, E. Panthoi won the same award in the women's category.